If you are like me, from the time you were learning how to walk and talk, you knew your life would revolve around animals. 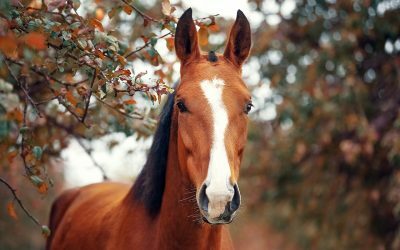 From rescuing my first kitten, to adopting my heart horse…I’ve continued to be inspired by people who pursue careers in helping animals in transition. I am working as a summer intern with The Right Horse and am privileged to attend Colorado State University which has an amazing equine science undergraduate program (GO RAMS!). There, I have explored a well-rounded curriculum based around one complex animal: the horse. My major is unique because everyone in it is connected by a shared interest in the horse. We have all been tested by, challenged by, intimidated by, and awe-stricken by this free-spirited animal. 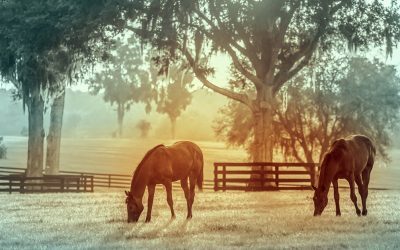 In a recent blog post, written by the president of The Right Horse, Christy Counts discussed key stakeholders for horses in transition. In this post, I will share my perspective about why students of equine science are a major stakeholder for the equine industry and horse welfare. The students I will graduate with next spring are some of the most dedicated, hard-working, and intelligent people I have ever met. However, with great knowledge comes great responsibility. There was a moment last spring, while watching my classmates present their junior and senior year projects, when I looked around the classroom and thought about who, after graduation, would be attending vet school, who would become trainers, and leaders in business. I had always thought of my peers as simply that — students — but in that moment, I saw them as our future. It is incredibly important that young professionals entering this industry consider horses in transition at this time. We are all hoping to have a lifetime and career in horses when we leave college. How, though, are we expecting to do this when our industry is already in decline and facing more criticism from the public than ever? It is not plausible unless we act now. The number of at risk horses in this country, who could and should be transitioned into new careers, is alarming. According to our partner, the Unwanted Horse Coalition, over 170,000 horses go “unwanted” every year, and that number continues to grow. Not only is it our duty to help these horses but is it also what needs to be done to remain a viable industry. The equine industry has always been grounded in tradition and divided by discipline, making change in any form insurmountably difficult. 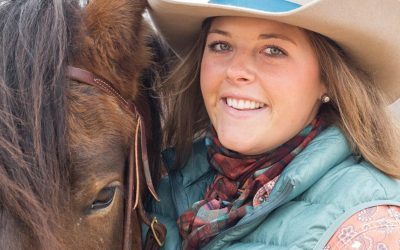 This generation of equine scientists entering the industry, however, is different. We are forward thinking, and, in my opinion, more welfare minded than ever. We consider the horse before all else and have grown into a generation that embraces compassion, hope, and innovation. The Millennial and “Gen X” generations have a reputation for excessively engaging in social media and technology, but it is up to us to show our current industry leaders that these skills can be harnessed into meaningful, ambitious work when applied to the right effort. Because of this, I challenge my fellow equine science students to seek opportunities to improve welfare and help at-risk horses however they can in their careers. We have already identified a lot of the issues in our industry that need change, now be that change. Take a minute to think about what made you want to work for the horse. That is really what we’re doing, after all. Was there a defining moment in your life in which you knew that you wanted to seek a career in this industry? For me, it was finding my right horse about nine years ago. I found Bandit when he was ten years old. He was living in a rundown pasture receiving minimal attention or training for years. Bandit had fallen into an at-risk situation, by no fault of his own, in which his previous owners simply had a change of interest and stopped caring for him. He was a healthy, spirited horse with many good years ahead of him who got caught in a tough spot. I saw a world of potential in him and, as the angsty teenager I was, felt that we were both quite misunderstood. We had our work cut out for us, however, with hard work and guidance from my devoted trainers, Bandit and I blossomed into a unified team that, to this day, I am moved by. Bandit was not a horse who needed “rescuing.” He was in good health, had never had an injury, and had early experience in a variety of disciplines. But, still, he found himself in a situation filled with uncertainty. While searching for a horse of my own, I looked at horses at all levels. Some were blue ribbon jumpers with years of training, and others were backyard ponies who had simply run out of a job. All of them, though, had fallen between owners for various reasons. Through this I realized that every horse can unfortunately become at risk. Horses in transition are not limited by a discipline, by a price range, or by a breed. There is a pressing need in our industry to address welfare issues across the board and come together to improve the pathways and options for horses in transition. The students I have studied with have the ability to make these changes. It is absolutely necessary, as the future of the equine industry, that we do not ignore the parts of it that aren’t always the prettiest, or the clearest. We need to come together to find that clarity for these horses and continue to search for ways to improve our industry. So, students, as we enter into our careers after graduation, I challenge us all to seek opportunities to help horses in transition, make decisions based on the wellness of the horse, and consider how your career can improve welfare for all equines. Horses can say a lot if you learn how to listen, and right now they are asking for our help. We control the future of horses in this country. Let’s make it a good one by being good people for good horses.